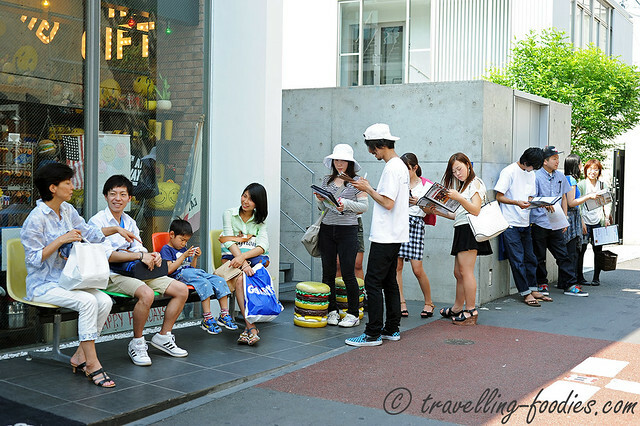 It was a busy weekend afternoon, despite being slightly past the lunch hour, yet there was quite a queue outside waiting while the burger restaurant was full-house. Thankfully the weather was lovely and luckily it didn’t take long before we got our seats. 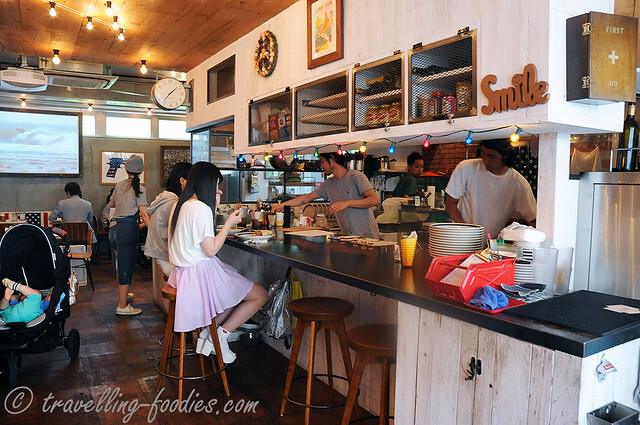 Then there are the counter bar seats where one could watch the restaurant folk in action prepping up the meals. We thought it would be rather oily and smokey so we declined the option to sit by the counter and went for regular seating instead. 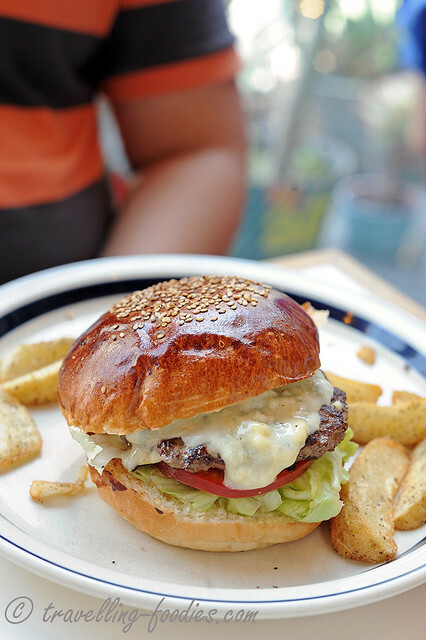 But for anyone who wishes to eyeball and learn a thing or two about gourmet burger making, go for it! 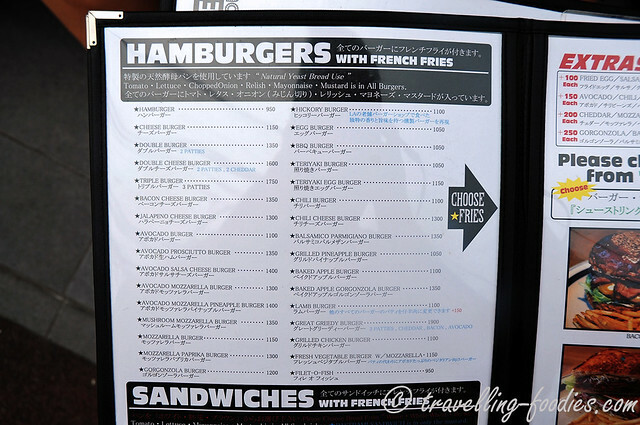 The menu… gourmet burgers in Japan don’t come cheap. But quality is almost always guaranteed. At least for the places we’d been to so far. It helps that we are in a country where most folks take great pride in whatever they are doing. 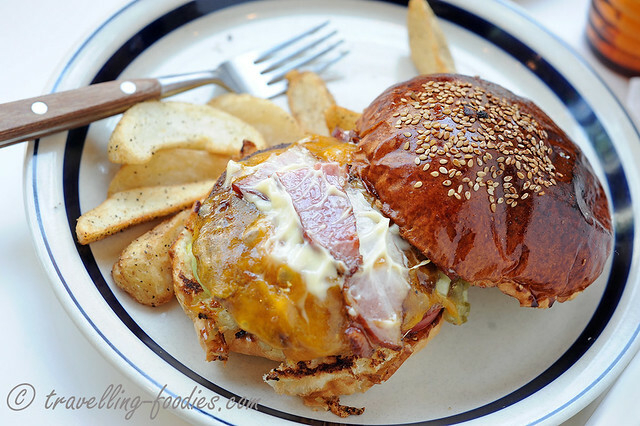 J’s Bacon and Cheese Burger. Gosh the bun looks so inviting already!!! That beautiful glossy glaze with lovely brown maillarding. The undersides of the burgers were toasted on a smokey grill and it tasted absolutely amazing. A good slab of back bacon in there which was surprisingly not as briny as I had imagined. The patty was really good, moist and succulent, This was accompanied by a thick slice of beef tomato and some fresh lettuce at the base for good crunch. Almost everything was spot on. My Gorgonzola Burger and my salivary glands were already raging mad when it was laid on the table before me. Same beautifully baked and then grilled buns, same juicy beef patty, same vege at the base except minus the bacon and egg but instead some really warm and gooey blue cheese. The cheese they’d used must have been really young because it was assertive but not overpowering. Oh this is a must for serious cheese lovers. Ditch the chedddar and mozzarella and go for the real kill with gorgonzola. You cannot go wrong, trust me! One last good look before taking the plunge. It is so so good… yes I couldn’t resist asking for a bite! The egg was slightly more cooked than how I would have liked it but it was ok for J who doesn’t really enjoy runny yolks to start with. And yes, even as we were leaving about an hour later, there is still a queue. Be prepared to wait a bit but I can assure you that it is definitely worth the trouble. 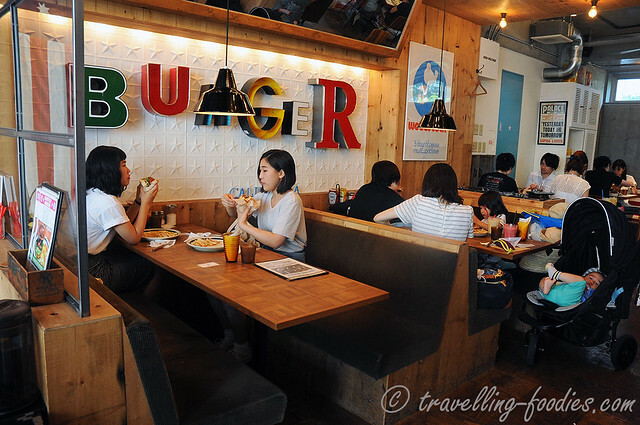 It may not be that “value for money” compared to those from Baker Bounce which were really decked like skyscrapers but it was a really good experience for what good burgers should be like. 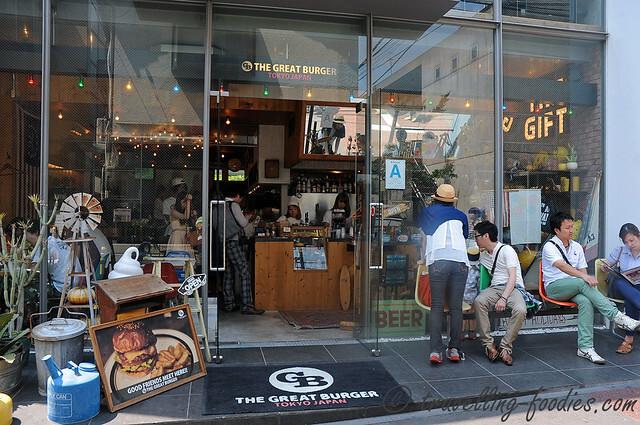 The lovely burger buns here at Great Burger were far better than those at Baker Bounce I thought. Would I come again, hell yes! 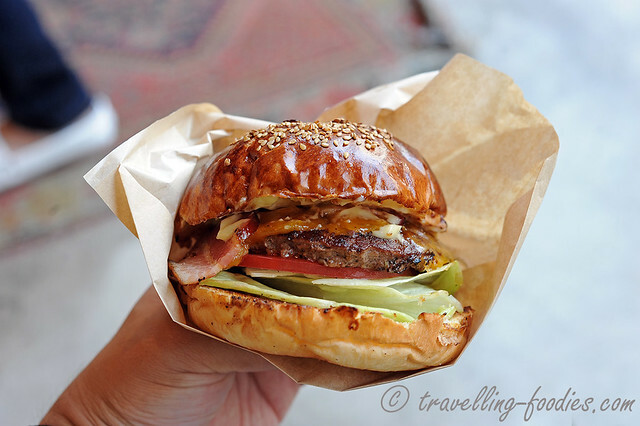 This entry was posted on January 11, 2016 by Alan (travellingfoodies). 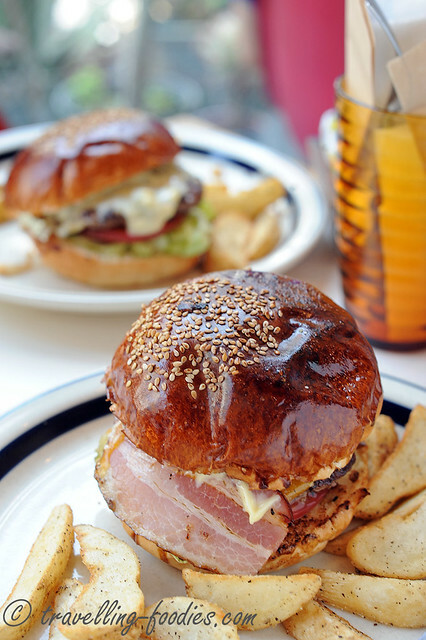 It was filed under Food, Travel and was tagged with american food culture, burger deli, cheeseburger, great burger, omotesando. 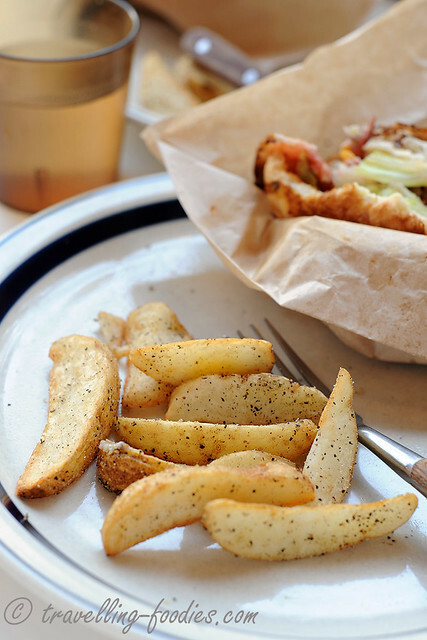 fries, Tokyo.